Please visit our Travel Alerts web page for the latest updates regarding Big Sur and Highway 1. As you cruise down Highway One from the Monterey Peninsula, you can’t help but feel the excitement building up inside you. Those photos you have seen of the magnificent beauty of Big Sur are suddenly coming to life, appearing even better in person. The dramatic Santa Lucia Mountains to the left are sprinkled with yellow, white and magenta wildflowers. To the right, powerful waves crash onto the rocky coastline as cows graze with their calves in the lush green pasture. It truly is what poet Robinson Jeffers has described as the "greatest meeting of land and water in the world." 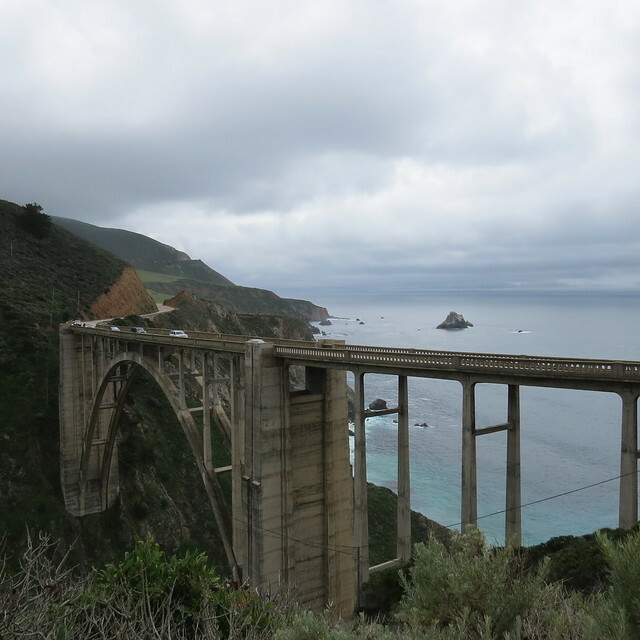 Despite a challenging winter that has temporarily taken a Highway One bridge out of service (click here for travel updates), the Big Sur experience is still available and as incredible as ever. Visitors are able to access Big Sur and the coastline all the way down Highway One to Big Sur Ranger Station where they can hike the Pfeiffer Canyon trail to the south side. Iconic attractions, hotels, restaurants and shops north and south of the Pfeiffer Canyon Bridge closure including Big Sur Village are open. You are invited to come and hike the awe-inspiring coastline at Garrapata, dip your toes in the Big Sur River while enjoying a cold beverage and soak in an unforgettable sunset. 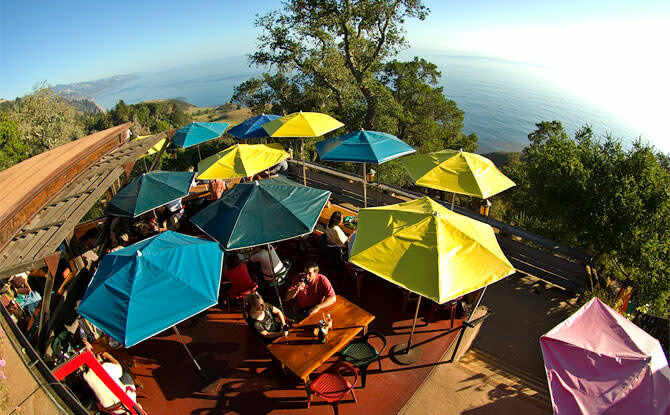 Below are a few ideas on places visit during your next escape to Big Sur escape! Bixby Bridge: Bixby Bridge is one of the most iconic spots on Highway One. The bridge has made appearances on television shows such as the most recent HBO series “Big Little Lies” as well as on the big screen. There are a few pullout areas near the world famous bridge for photo opportunities. Visitors are urged to be cautious while driving and parking in the area. 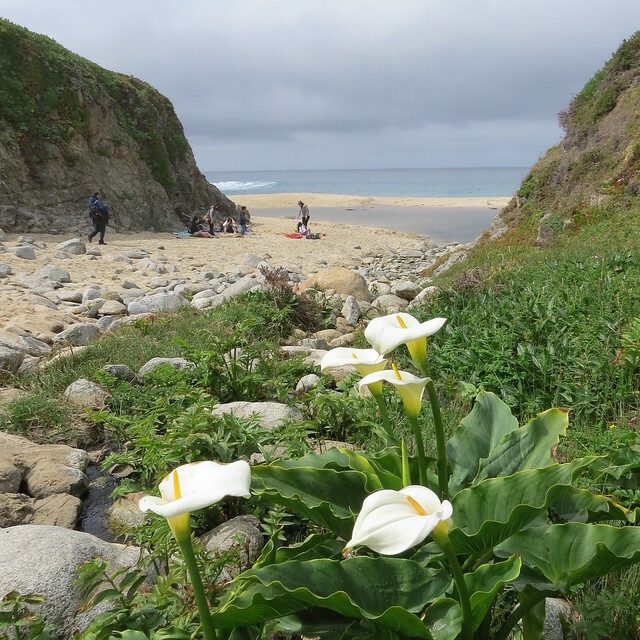 Garrapata State Park: From spring through early summer, the picturesque coastline of Garrapata State Park comes alive with colorful blooms of wildflowers. Explore the western coastal trail that can be accessed at gates 18 or 19 off of Highway One. Point Sur Lightstation: The Point Sur Lightstation is a California State Historic Park on the National Register of Historic Places. 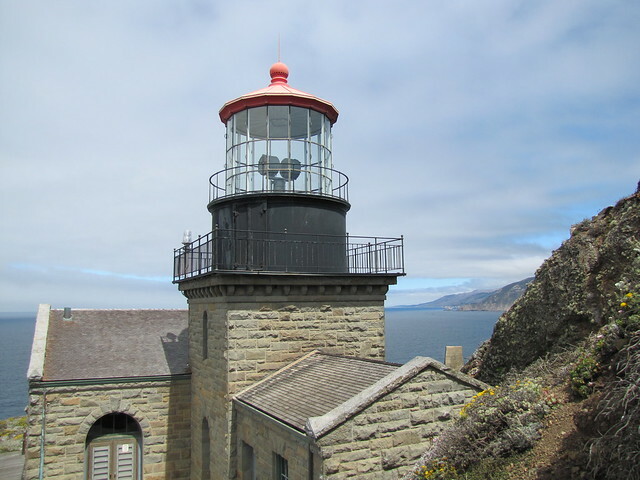 The lighthouse sits on a volcanic rock 361 feet above the Pacific Ocean, and the light has stayed in continuous operation since it opened 1889. Walking tours are available on Wednesdays and weekends. Pfeiffer Big Sur State Park: On the western slope of the Santa Lucia Mountains, the peaks of Pfeiffer Big Sur State Park tower high above the Big Sur River Gorge, where the Big Sur River enters this popular park. Beginning July 1, visitors once again will be able to use the campground and all four day-use lots. The large campground accommodates hikers, bikers, car campers and RVs. Trails that are open to the public include the Redwood Deck, Nature Trail, River Path, Warden’s Path and Liewald Flat Trail. Glen Oaks Big Sur: Rustic and elegant, Glen Oaks Big Sur offers guests a cozy and comfortable retreat in the redwoods and along the Big Sur River. 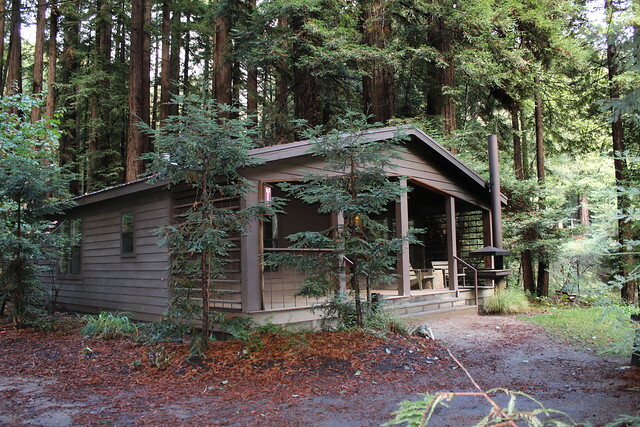 Visitors can stay in a Fireside Lodge, the Oak Tree Cottage or a cabin in the Redwood Grove. The dreamy Big Sur Cabin has two fire pits plus a pair of outdoor clawfoot soaking tubs. 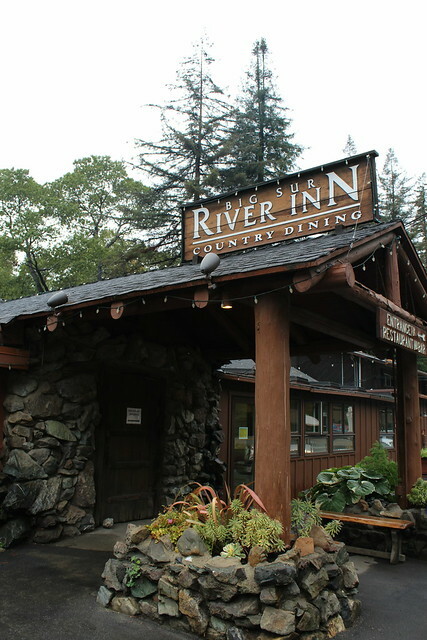 Big Sur River Inn & Restaurant: The historic Big Sur River Inn & Restaurant has been a staple in the heart of Big Sur Village since 1932. Surrounded by the towering redwoods and along the Big Sur River, the inn provides the perfect escape and opportunity to unwind along the river while listening to the peaceful sounds of nature. Big Sur Lodge: Nestled deep in the redwood forest of Pfeiffer Big Sur State Park, Big Sur Lodge has long been a haven for writers, artists, seekers of beauty and travelers in search of the peace and majesty that the ancient redwoods bestow on the body and soul. Guests can enjoy a cozy stay here in one of the 62 cottage-style rooms. Fernwood Resort: From the forest and meadow view cabins to camping near the Big Sur River, Fernwood Resort is a privately owned facility and campground located in Big Sur Village. For those who want to be close to nature while still sleeping in a warm bed, the property also offers glamping in the Adventure Tents. Ripplewood Resort: One of Big Sur’s oldest resorts and a favorite among families, Ripplewood Resort features 17 rustic cabins, a general store and café. Some of the cabins have private decks that are perched over the Big Sur River, so you can be lulled to sleep by the tranquil sounds of the flowing water. The Village Shops: For many artists, Big Sur is not only a haven, but also a source of inspiration. Next door to the Big Sur River Inn is The Village Shops where visitors can purchase locally made art and gifts at Local Color and visit Dale Diesel&apos;s Darn Glad to be Here Gallery. There is also Studio One, which serves as a painting studio, gallery and workshop center. Starting July 1 visitors will be able access businesses located on the south side of the Pfeiffer Canyon Bridge closure via the Pfeiffer Canyon Trail. Visitors will need to hike the trail before boarding the Sur Transportation Shuttle or electric bikes from Big Sur Adventures. 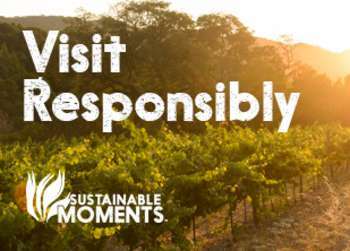 Visitors are encouraged to be courteous to residents who are using the trail to bring in groceries, attend school and who rely on the trail for their daily routines. Pfeiffer Canyon Trail & Northern Big Sur Transportation: The trail which connects the north side of Big Sur to the south side is less than a mile long with a 500 foot elevation gain. Visitors should be prepared for a trail with narrow, steep inclines and rugged terrain and is not recommended for those with limited mobility or those who are unable to engage in mild exercise. The trail is open to visitors at 12 PM daily and closes a half an hour before sunset. Visitors wishing to use the trail to access the south side of Big Sur must park at Andrew Molera State Park for a fee of $10. There, guests will be able to board a shuttle run by Sur Transportation to all the restaurants and hotels in the Big Sur north area by purchasing a shuttle pass and will be transported through the Big Sur Valley to the Pfeiffer State Park Camp Store. 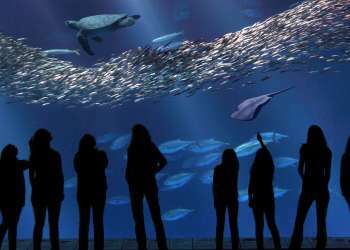 The shuttle pass is $5 per person per day, and children under 12 are free. The shuttles will run from 12 PM to 8 PM seven days a week on both sides of the trail. In order to use the shuttle, visitors must purchase the pass at Andrew Molera State Park. Once visitors reach the south side of Big Sur using the trail, a shuttle will be available to transport guests to Nepenthe Restaurant and back. The shuttle will be waiting at the Loma Vista Shell Station (.25 miles from trail). Big Sur Adventures is also renting electric bikes for self-guided tours along Highway One. Post Ranch Inn: Due to the Highway One road closures, Post Ranch Inn is taking its guest experience to greater heights, transporting its guests via helicopter to Big Sur from Monterey Regional Airport. Guests will enjoy a once-in-a-lifetime, personalized opportunity to see the breathtaking Big Sur coast from the air, landing directly on the property where they will be greeted and whisked away to their room for an unforgettable stay full of romance, indulgence and relaxation. *Open to overnight guests only. Nepenthe: Perched on the edge of the continent, high above the Pacific and watched over by the majestic Santa Lucia Mountains, Nepenthe has long been a meeting place for poets, artists, travelers and vagabonds alike. Sit on the terrace and enjoying the Ambrosia Burger or broiled Shrimp BLT. The Phoenix Shop: Located just below Nepenthe, The Phoenix Shop is a unique gift shop featuring exceptional merchandise from around the world as well as from local artisans. Hawthorne Gallery: The Hawthorne Gallery represents the artwork of the multi-talented Hawthorne family as well as the work of selected outstanding artists across the country. Gregory Hawthorne came to Big Sur with his family in 1982. Click here for more travel updates for northern and southern Big Sur.